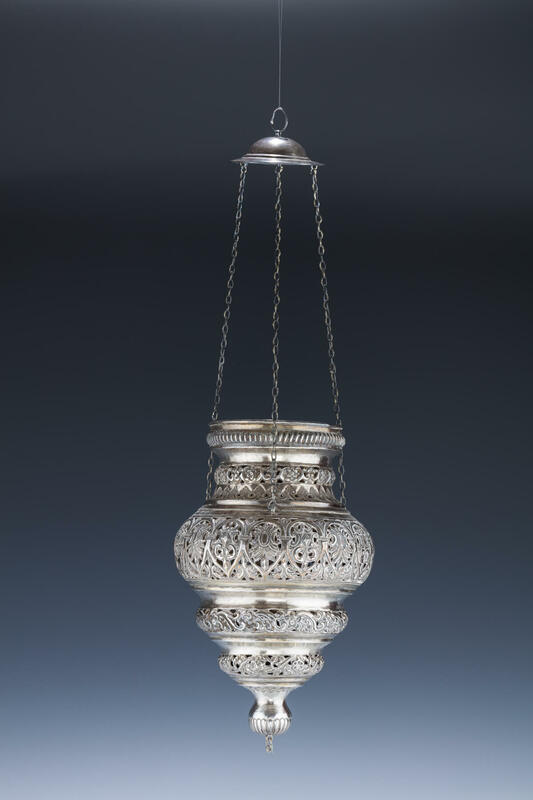 A LARGE SILVER NER TAMID. Probably Cairo, c. 1900. Hand chased. Decorated with floral and organic designs with lattice work and embossment. 21” long.